Gabrielle Bernstein proves yet again why she is authentic, honest, miracle-minded, hard-working and literally there to serve with her amazing 4 CD/DVD set (UK Version) that literally walks you through how you can manifest media to get your message out there. 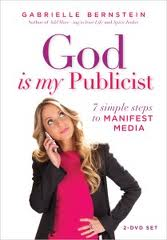 God is my Publicist is not fluffy, or religious based at all! However it is service based in that it helps you get into the zone of being of service to others in order to manifest your media. Gabrielle walks you through each and every step you need to take in order to put some serious miracle making magick into your business. 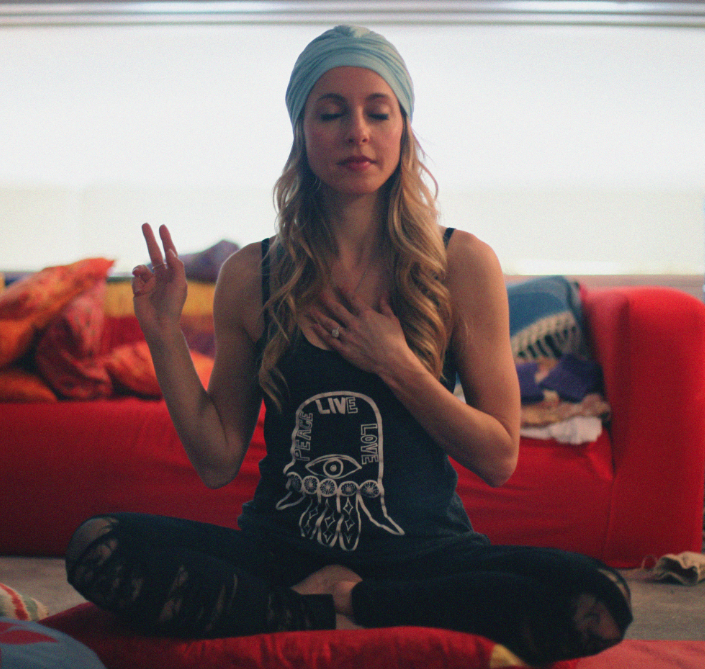 Having used this method herself to get her to where she is today – New York Times Best Selling Author, Frontline spiritual teacher, A Course in Miracles Teacher, Kundalini Yoga Teacher and super awesome rockstar of authenticity to name a few. Clarifying your message by creating a desire statement for your publicity plan and connecting to the service behind your brand. Understanding your core audience and becoming conscious of their media consumption. Identifying the service behind your business to heighten its value to consumers and ignite the power energy behind the brand. Creating a wish list using the manifestation process to target the media outlets (print, online, TV, social media) that are most applicable to your brand message and core adopters. Crafting your story with a five-step creative process for developing an authentic pitch story that will energetically spark media interest. Executing a spiritual follow-up that guides you to release all outcomes and reinforce the most important tool for manifesting media: patience. Add to this Gabrielle takes calls from the live tutoring that this course is the recording of and helps people clarify their message, understand their core audience, identify their service, and craft their story. She shares her own message, and story in a non apologetic way – something she actively encourages you to do! You will hear how Gabby was at the time of recording manifesting the media for her message in the form of appearing on Oprah – something we now KNOW for a fact that actually manifested – that is seriously how powerful this is. And if that wasn’t enough to get your message catapulted out there is also a DVD recording of a God is My Publicist lecture where you can actually WATCH Gabby teach and interact with the audience. With every project Gabby is involved with, be it a book, a lecture, a workshop, Meditation CDS, or even this wonderful publicity program – she is authentic and actually wants you to succeed. She puts her all into it, she motivates you, she inspires you and she warms your heart. Gabby changed my life just over a year ago when I re-read her Spirit Junkie and Add More ~ing To Your Life. She reawakened my love for A Course in Miracles and inspired me to be more authentic and share the real me. My own self development deepened and developed with the six week study of May Cause Miracles I have in the past few months used this program to really get to the core of what my coaching is all about and now I am finally getting it all together and the merry-go-round of my life and business is now riding its own pathway to its own sweet meditational mantra! If you want to help others and you feel that what have to teach has to get out there but you feel that you have no idea where to start then this is definitely for you. Invest in yourself. You are so worth it. Thanks for this review! This seems like an awesome course for taking business to the next level!